Have no idea how to take a photo of the entire city? Wanna shoot photos with Instagram style? Being afraid of the complex panorama-creating process? Fortunately, you come to the right place. There is no such a camera that can get everything as your eye view, but it is just a piece of cake to make a panorama by using WidsMob Panorama here. You just need to upload related photos as much as possible, then this program can stitch and form a composite image within few clicks. Can’t wait to run Panorama Creator? Just follow steps below to learn how to composite images into panoramas in high quality. Besides the easy method to auto stitch photos to panoramas, you can also use the manual solution to adjust the blend part or stitching point. When you need to learn more detailed information about how to make panoramas, you can check out the process from the video tutorial as below. Whether you need to make panoramas vertically, horizontally, in tile or 360 degree, you can always find the desired method to stitch photos. What is more, you can also manually adjust the stitching point or blend part to remove ghost parts to get the desired result. After you have downloaded Panorama Creator software, install this program on your Windows or Mac computer directly. When you launch its main interface, you need to upload your photos first. Method 1: Drag and drop photos into Panorama Creator. Method 2: Select "Add Photos" button and import your pictures. Method 3: Click "File" on its toolbar to choose "Add Photos" to add new photos. Note: You had better upload more than 3 pictures to create panorama per time. In addition, tile panoramas require photos like 2 x 2, 3 x 2, 4 x 4, etc. As for stitching images into 360-degree panoramas, you need to import at least 6 images. There are four icons in the lower right corner of your Panorama Creator, which represent vertical, horizontal, tile and 360-degree panorama modes. As a result, Panorama Creator can help you stitch photos into different panoramas automatically. Step 1: Select images for the same panorama. Step 2: Choose one panorama-stitching mode below. Step 3: Click "Next" button to auto stitch photos into a Panorama. Note: You can move the slider in the lower left corner to enlarge or reduce any photo smoothly. You can see that Panorama Creator has stitched images into a panorama smartly. To be more specific, Panorama Creator can align images, adjust exposure levels and correct lens shadows automatically. This program has combined the best part of your uploaded images into one panorama photography. But there are still some places you need to adjust manually. Now, it is your time to create a perfect panorama. Step 1: Choose "Full Screen" to see the detail information. Step 2: Click "Fine-tune" to enter the panorama-adjusting window. Step 3: Select "Align Points" to correct the stitching angles of different images. Step 4: Click "Adjust Blend" to remove the ghost parts manually. Step 5: Choose "Apply"/ "Done" and then click "Next" to save all changes. Note: If you want to erase all previous changes, you can click "Restore" button to achieve. You can also apply photo effects with Panorama Creator easily. By moving each slider, you can achieve panorama photo-editing effects within few clicks. Step 1: Adjust the "Saturation", "Contrast", "Brightness", "Temperature" and "Tint" parameters to balance the photo effects of your panorama. Step 2: Move the parameter below or choose "Full Screen" to see all changes in detail. Step 3: Click "Restore" to erase all changes and go back to the original state if necessary. Step 4: Press "Save" to output the best panorama photography. Note: You can export panoramas to TIFF, JPEG and JPEG-2000 files. In addition, Panorama Creator allows users to customize the output photo quality from the least to the best freely. And you can also add tags by the way. The followings are small tips you can follow to create and edit panoramas with better experience. Thus, you can dig out more useful features about Panorama Creator. You need to make a panorama first. Then, you are able to raise the request of creating a new panorama during the whole process. Step 1: Open "File" on the toolbar of Panorama Creator. Step 2: Click "New Panorama" from its drop-down menu. Step 3: Confirm to save the current-editing panorama or not. If you have added many useless images into Panorama Creator by mistake, do not worry about that. Follow step below to see your target images only. Step 1: Choose and right click on those unnecessary photos. Step 2: Click "Remove" to delete them. For people who have taken large amounts of photos, there is a time-saving method to select all of them. Step 1: Click "Edit" from its toolbar on the top. Step 2: Choose "Select All" to drag all photos easily. Though you can move the slider in the lower left corner to enlarge or reduce the panorama, there are also other available photo-resizing tools you can manage with. Step 1: Click "View" from the toolbar on the top. Step 2: Choose from "Actual Size", "Fit in", "Zoom in", "Zoom Out" and "Full Screen" options. You can adjust the page setup settings according to your personal demands. Step 1: Choose "Page Setup" from the "File" drop-down menu. Step 2: Adjust "Paper Size", "Orientation" and "Scale" manually. Step 3: Click "OK" to save your printer preferences. 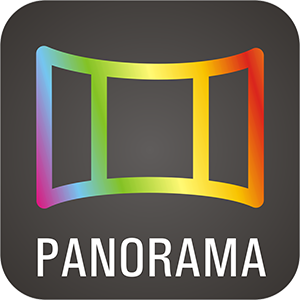 Panorama Creator also supports users to print panoramas directly. Step 1: Click "File" and choose "Print" in its drop-down menu. Step 2: Customize "Copies", "Pages", "Layout", "Borders" and other options. Step 3: Choose "Print" to start printing panoramas with Panorama Creator. When you have some moving objects for making panoramas, you can use the auto stitch to get a result for panorama first. Choose the "Fine-tune" option, and then click "Align Points" to adjust the stitching points. And then you can align the Red, Blue and Yellow pins for the composite images to remove the ghost part in order to make a nice panorama photo. Choose the "Fine-tune" option, and then click "Adjust Blend" to adjust the blend part. Add more points for blending. When there are some blending part, you can add the points to remove some small difference in the original panorama. Well, you can create panoramas as a pro by using Panorama Creator easily. Everything has been simplified, so you can stitch and output panoramas in seconds. Therefore, Panorama Creator is the best choice for both amateurs and professionals, who intend to spend the least time and get the best panoramas. If you have any question about Panorama creator, please don’t hesitate to contact us. We are glad to help you solve any problem about Panorama creations.